1. How to restrict access to My Drive files to particular employee? 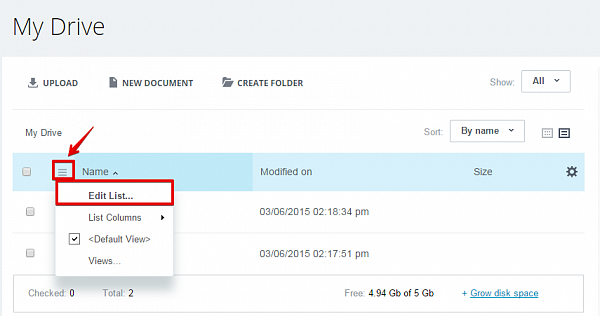 Each file or folder in your Bitrix24 Drive has “Sharing” option. 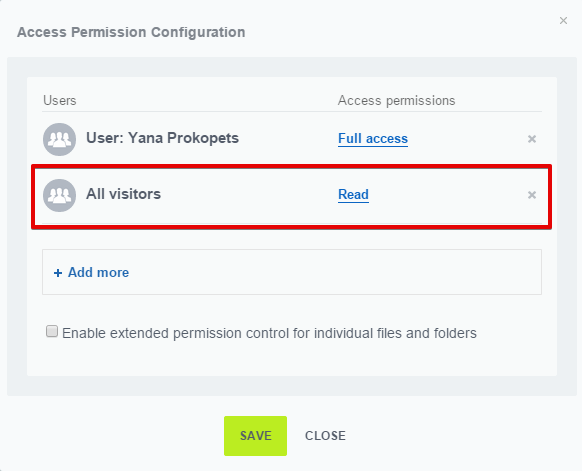 Users added with the help of this option may have various access levels, while not listed users have no access to the file (folder) by default. To be sure a particular user has no access to the file, please check if the file sharing page contains access for groups or departments and if this user belongs to any group or department listed. (if he\she does, either delete the user from the group (department) or delete this group’s access to the file). 2. How to make a shared document library in Bitrix24? Bitrix24 Company Drive serves as a shared document library for all employees. 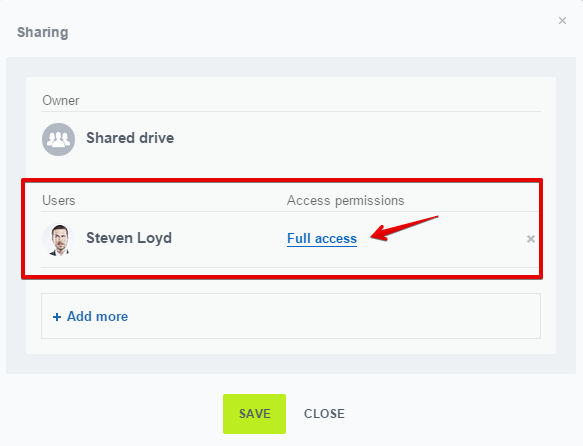 Access permissions can be configured in Company Drive’s main settings. 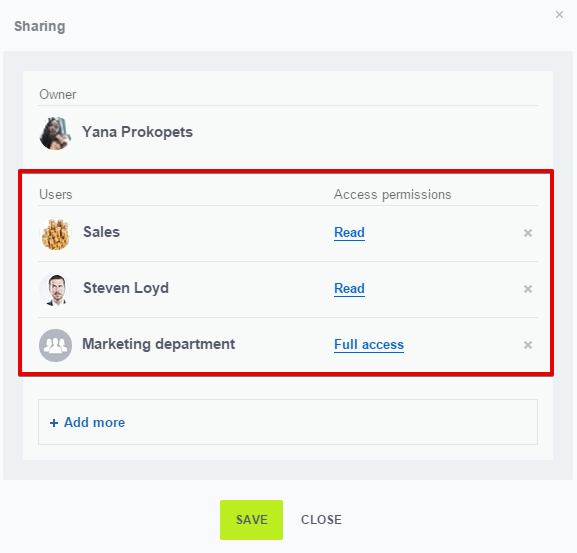 Please note that Company Drive folders inherit access permissions set for the Company Drive in general, but you can give higher access level (not lower) or give access to more users in each Company Drive file’s menu. Important: To enable the optimal method for editing and accessing documents from your computer, you need to install the Desktop App and enable Bitrix24.Drive. Click on the file in Bitrix24 - the file will be automatically opened in locally installed applications on your computer. Please remember – open this way files won’t be saved at your computer, to save them please click "save to Bitrix24 Drive" (if Bitrix24 disk is enabled – the files will be automatically synchronized to Bitrix24 folder at your computer) or "download". 4. What if particular file failed to synchronize to Bitrix24 Drive? Please note that several file formats are not supported: .exe, .php, .lnk, .tmp, .ini,.pl. 5. What are the default folders in My Bitrix24 Drive? Downloads: All files you add as attachments to the tasks or Activity Stream messages are stored in My Drive>Downloads. Files located in this folder are hidden from other users and are available for the Drive owner only, other users can access these files via tasks or messages they are attached to. Please note - this folder does not synchronize with the local Bitrix24 folder on your computer. Please note - if you delete files form the Downloads folder, these files won’t be deleted from the tasks or messages they are attached to. Created Online: here you will find files you have created in Bitrix24 from scratch (e.g. from Activity Stream messages or create New Document from Drive section). Imessenger: files sent via Bitrix24 instant messenger can be saved to Drive, these files are located in “imessenger” folder in My Drive. 6. How can I restore the deleted files? To delete your files completely use “empty recycle bin” tab. 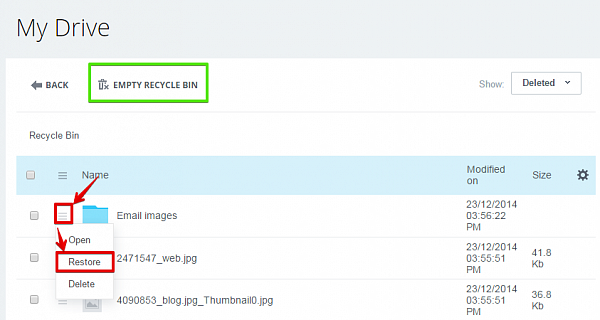 Please note: only Bitrix24 administrators have access to “empty Recycle bin” or “restore files” options. 7. How to change the location of Bitrix24 folder created on my computer for Bitrix24 files synchronization? 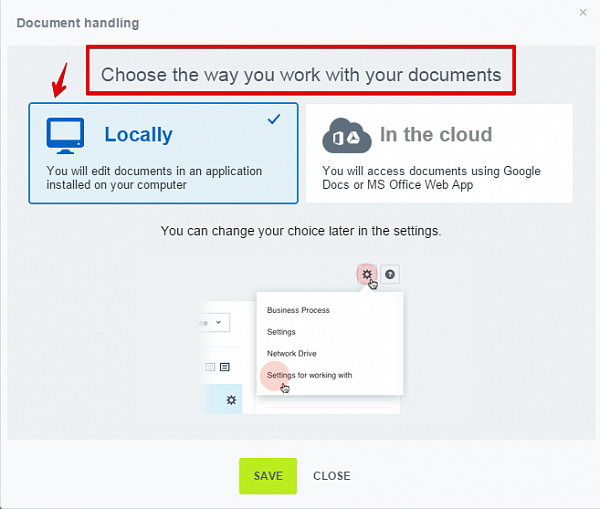 To change the Bitrix24 folder location on your computer - please open Disk section in Bitrix24 Desktop app and disable Bitrix24 Disk. Change the Bitrix24 folder location. Enabled Bitrix24 Disk again. 8. How to change Document Library List view? 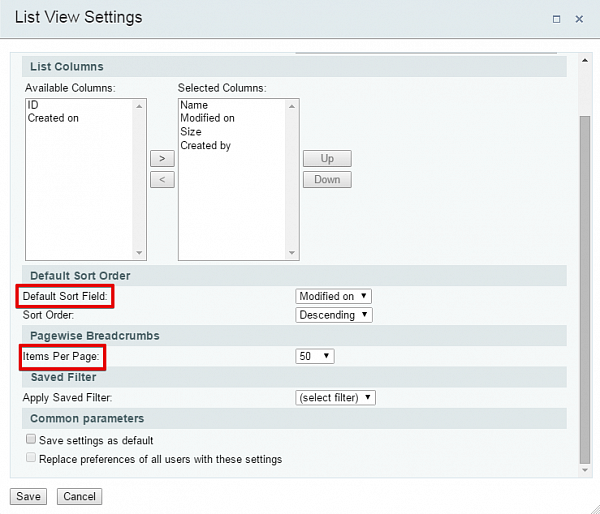 To increase amount of files (folders) displayed per page please use Pagewise Breadcrumbs – items per page field (available amounts – 10,20,50,100,200). Depending on the sort type you prefer files and folders can be displayed sorted by "name", "modified on date" or "size". You can also save these modified settings for all users with "Replace preferences of all users with these settings" option.